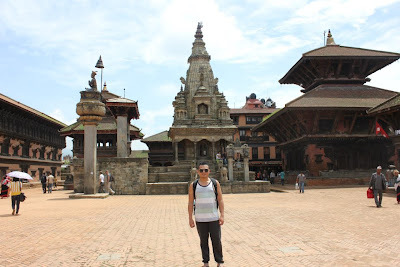 One of UNESCO World Heritage Sites, the Bhaktapur Durbar Square in Kathmandu Valley is a plaza in front of royal palace of the old kingdom. 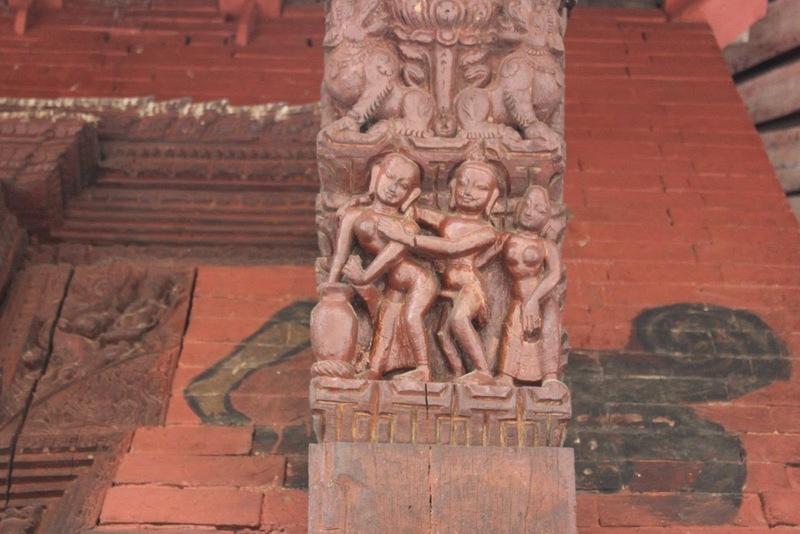 This complex consists four distinct squares, Durbar, Taumadhi, Dattatreya and Pottery. 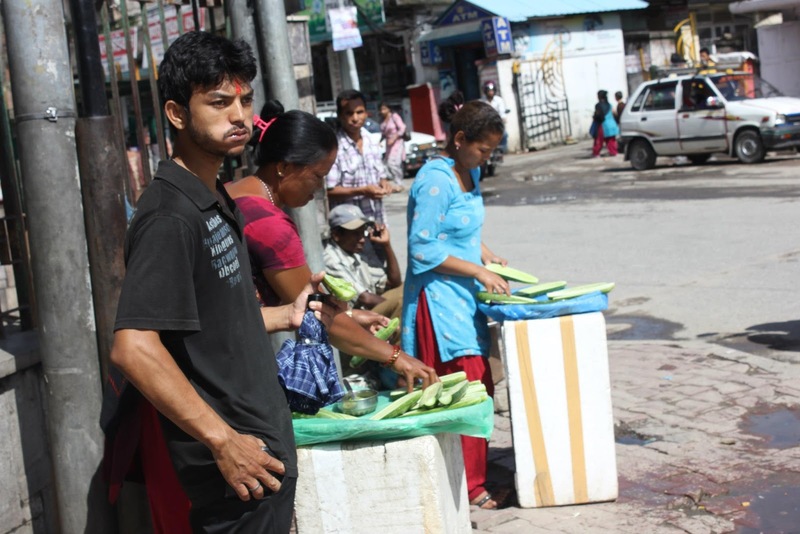 Nepal is a country that struggles to strike the balance of democracy and getting over of the monarchy rule. The location is constricted between India and Tibet. It’s climate is mixed from tropics grounds to freezing zone of Himalayan peaks. Majority of its people are practicing Hinduism although some also belong to other distinctive ethnic groups like Tibetan Buddhism and speak different languages. They live around ancient cities with temples and monasteries, it is magnificent to see how this structures still stands. It is a humbling experience to learn their rich and diverse culture, from their food and unusual practices that is still being observed till this time. 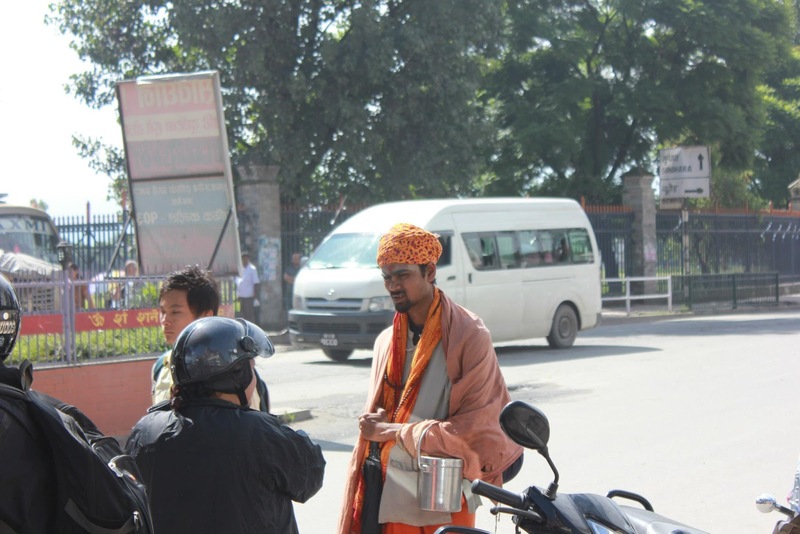 Nepal is known as the world's only Hindu Kingdom. Nevertheless, it is an intricate and beautiful tapestry formed be the interweaving of Hinduism, Buddhism and other beliefs. In this country, the harmony and and religious tolerance is a great example to the world. AIRLINES: Air Arabia – thanks to MC Velazquez, there's direct flight from Dubai and Abu Dhabi too. VISA: No visa for the following nationalities, China, Thailand, Russian Federation, India, Brazil and UN Lassies Passer Holders. All other Nationalities not mentioned above can obtain a visa upon arrival except for below nationals. - Nigeria, Somalia, Liberia, Cameron, Ethiopia, Zimbabwe, Ghana, Swaziland, Iraq, Palestine and Afghanistan and all Travel Document holder applicants. 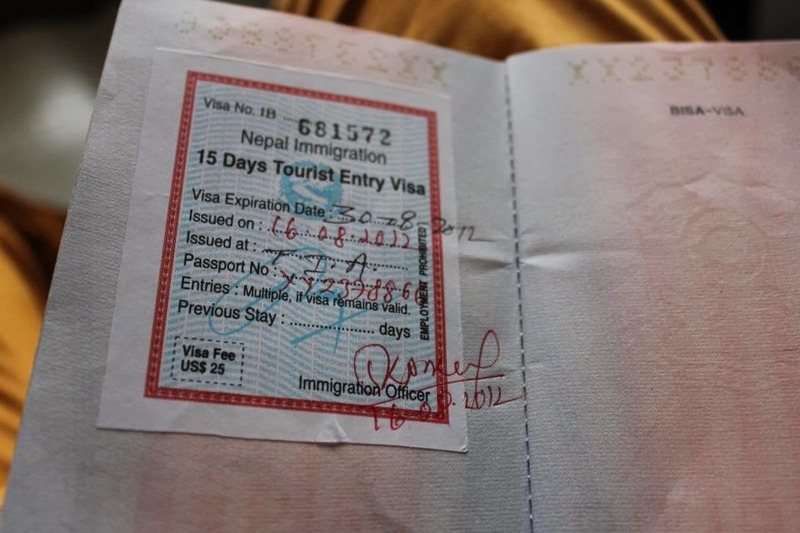 They are advised to apply for a visa at the Embassy before visiting Nepal. Visa is processed on arrival, expect a little delay but it's a no biggie. 15 days visa is 25$ USD. Coz it's a short trip, cheap and see Mt. Everest! 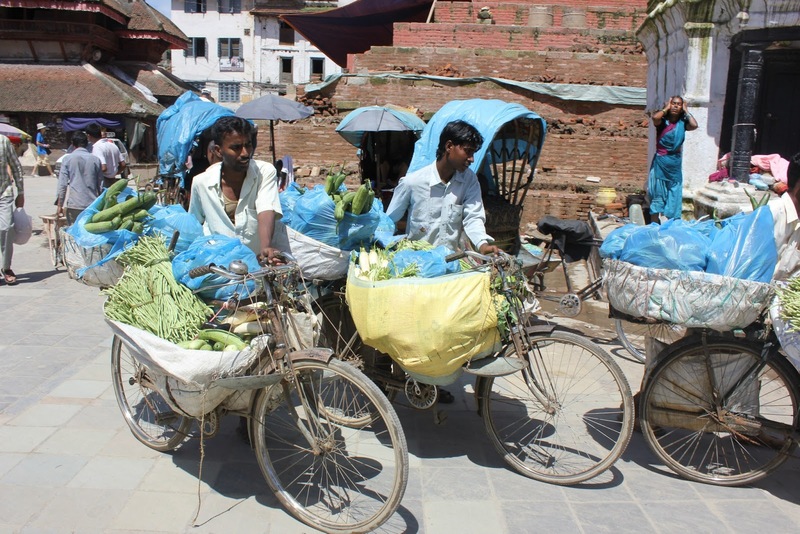 Nepal is a country of exotic culture with highest mountain range in the world, connect with local people and live from their perspective. 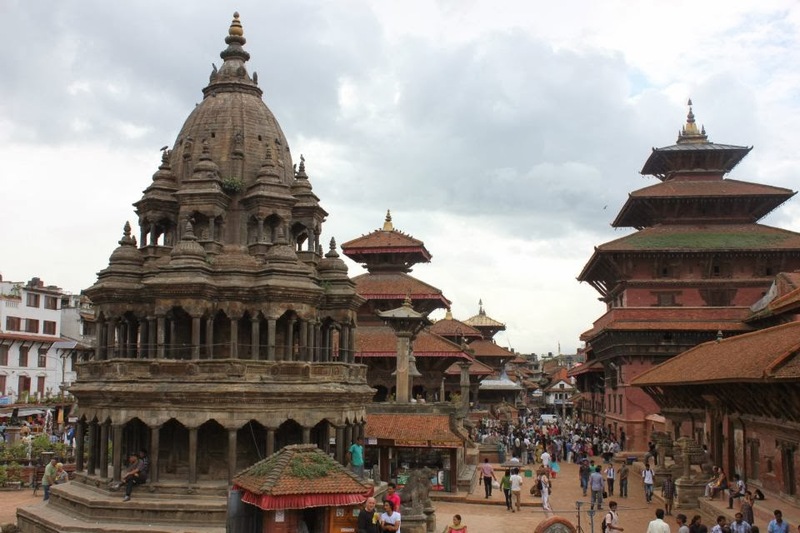 Located at the center of Latipur city, Patan Durbar Square was once the residence of Malla Kings where their ancient royal palace is one of the main attractions, temples and idols are also in the area. Apparent medieval ambiance in all places are imminent. There's something unique that I can't explain listening to local music in tune of flute where I found my inner peace. Even it's chaotically crowded, the city has a distinctive splendor of nature that captivates my attention. 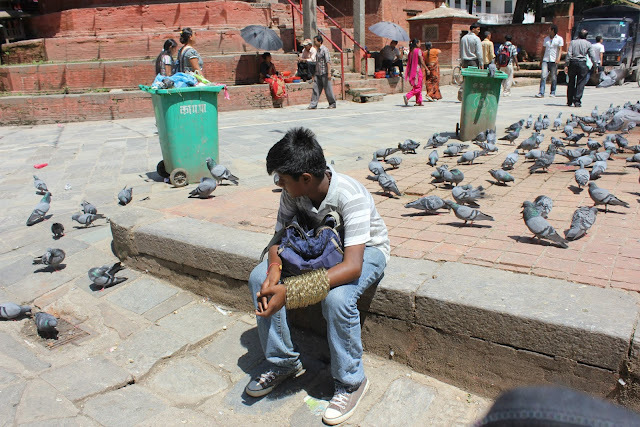 From five star to no star, suit yourself, Kathmandu is not short of accommodation. 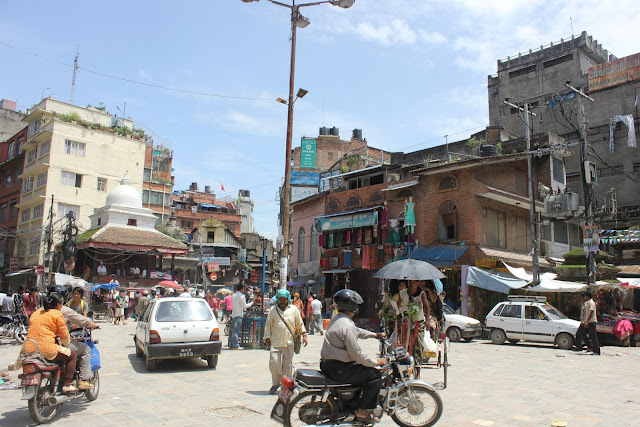 I stayed in Peak Point Hotel in Thamel, walking distance to Kathmandu Durbar Square, shopping district and close to bus stations going to other municipalities. 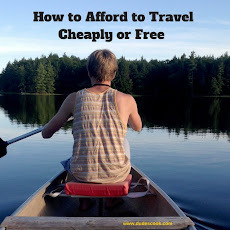 It's perfect for budget traveler - location wise and rate. 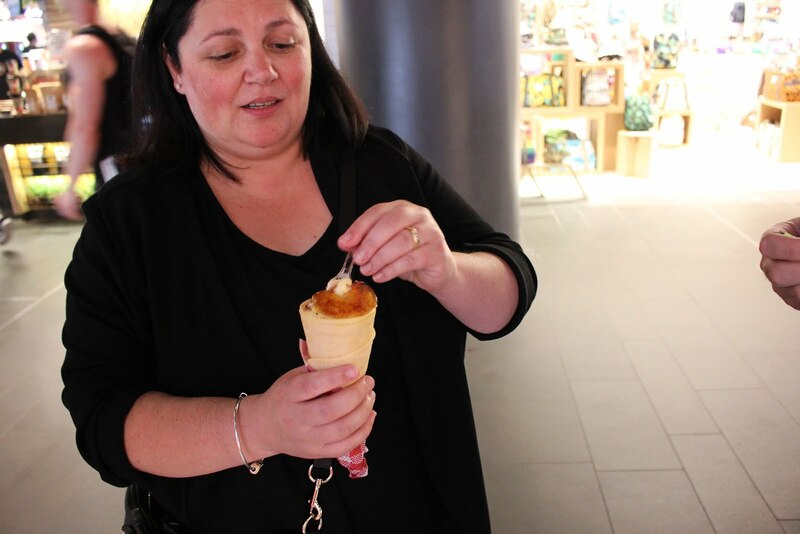 Service is truly personal, staff are exceptionally pleasant. If you could let other slip-up and facilities pass, power out for at least 3 to four hours a day and no wifi for some time, I think you'll be alright at least they offer bottomless Nepali tea. 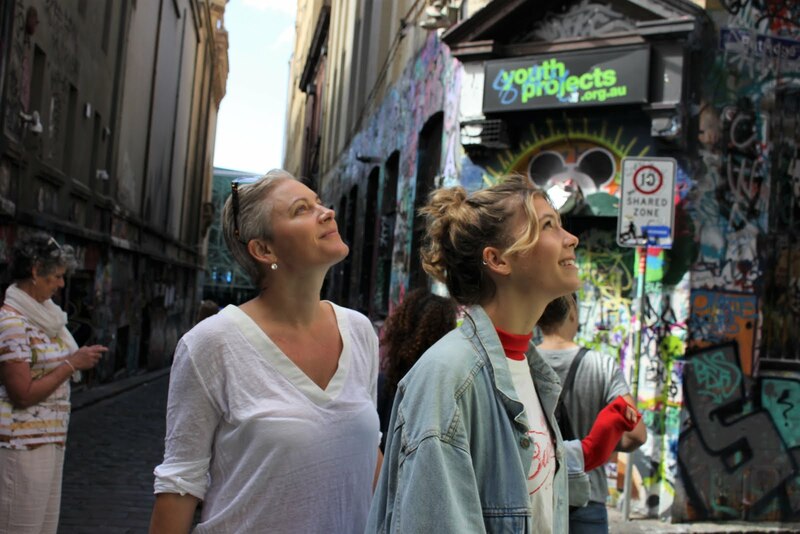 You can check all other hotels HERE, rates starts from 10$ USD to 50$ USD per night for a budget traveler. View at the top of Swayambunath Monkey Temple. Yes, there are holy monkeys living in the north-west part of the ancient religious architecture. 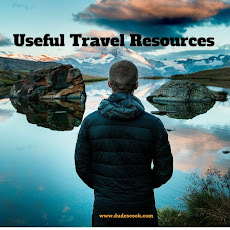 Visiting around places are accessible through public and tourist buses, taxis, rikshaw ( tricycle ), bikes, motor bikes and tempu ( three wheeled jeep type). Streets are small and puzzling but you can appreciate the busy trade of indigenous people while wandering around. 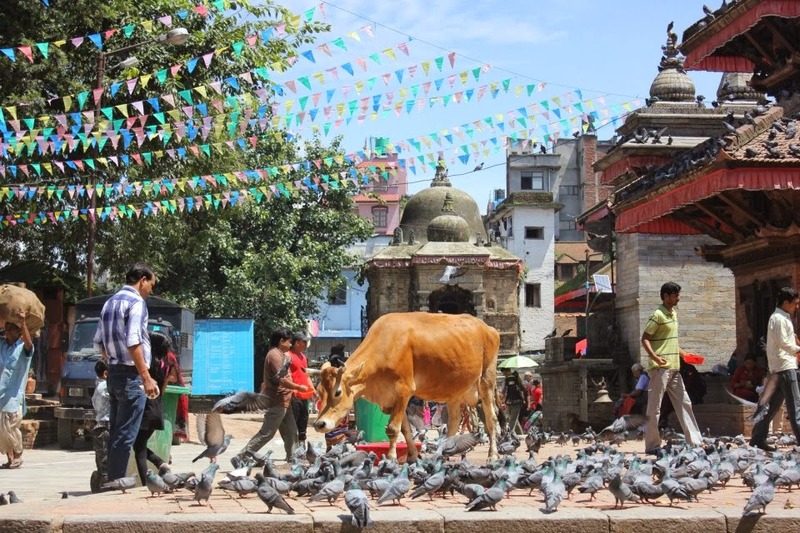 Cows on streets are a common sight in Nepal as cattle are regarded sacred in Hinduism. 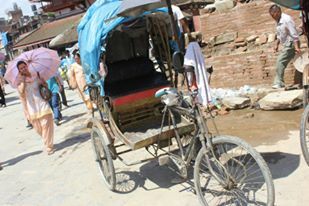 This one runs freely in Kathmandu Durbar Square in front of the old palace of the former kingdom. Hotels or travel agents around Thamel area can arrange a full day tour that costs around 15 to 20 USD OR Do what I did, try public bus for out and about, make sure you know the exact fare before hopping, otherwise you will be ripped by the conductors (Khalasi in Nepali), I paid 100 RS for 25 RS fare to Bhaktapur. 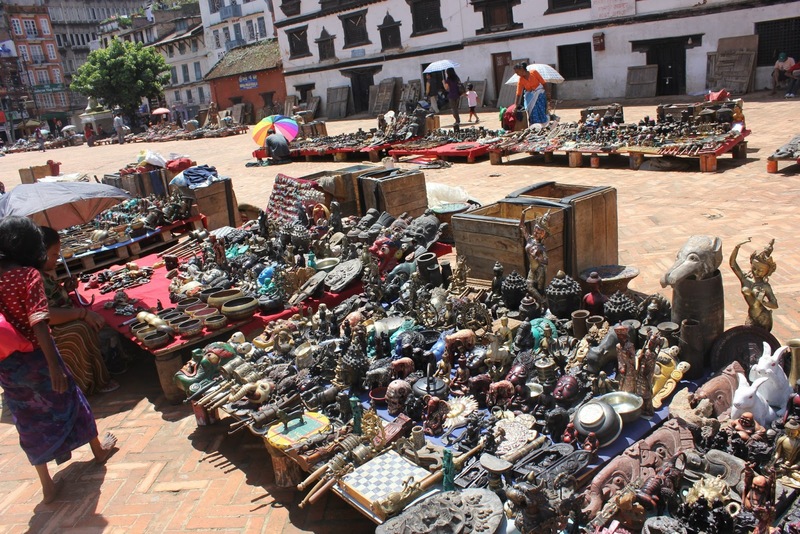 Entrance fees from 500 to 1,100 RS, pay only to the tourist information centers. What's on the menu? chicken, veg and buffalo dishes. They may not have everything you fancy. If you're not too adventurous with food, there are pizzas and burgers and KFC close to the national museum. You have to try "Momo" though, it's a dumpling or siomai look-alike with a thicker molo wrapper, street vendors are in every corner offering mostly yak meat filling. 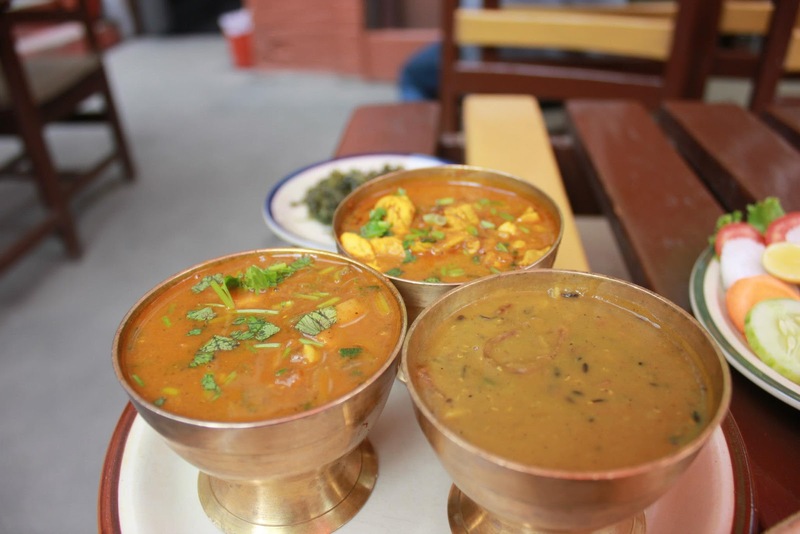 Chicken and veg momo are typically served only in restaurants. Considered one of the most scenic spots in Bhaltapur District. Is is known for a sunrise view of the Himalayas including Mt. Everest as well as other peaks of the Himalayan range in the eastern part of the country. 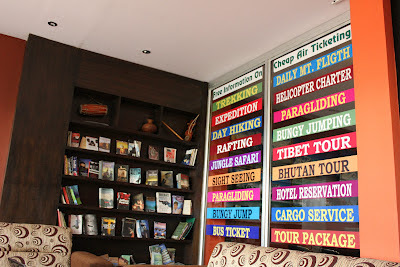 This place offers panoramic view of the Kathmandu Valley. Was the largest of the three Newar kingdoms of Kathmandu Valley, and was the capital of Nepal during the great Malla Kingdom. This place is home to UNESCO Heritage Sites temples and unique cultural tours. Something different fun spot for water fun, located in Palase. The complex consists of a stupa, a variety of shrines and temples, some dating back to the Licchavi period. A Tibetan monstery, museum and library are more recent additions. 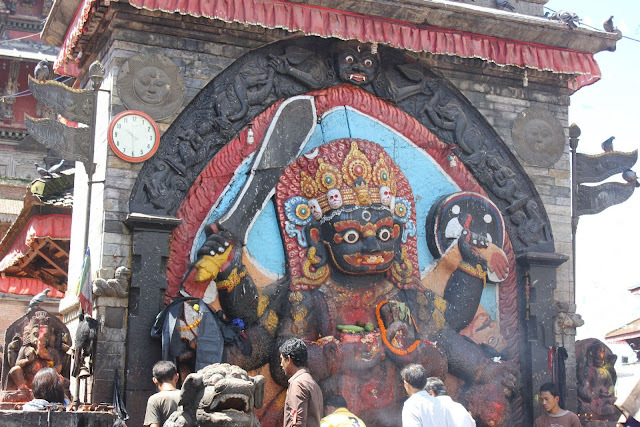 This place is a marvel of Newa architecture, home to temples and idols. Located on the banks of Bagmati River, this place is considered one of the sacred temples of Hindu faith. One of the major Festivals, Maha Shivaratri atendeed by over 700,000 devotees is held here. This is also home to public and affluence cremation of the dead. This ancient stupa's massive mandala makes it one of the largest spherical stupas in Nepal and one of the largest in the world. It dominates the skyline in Nepal. This Square held the palaces of the Malla and Shah kings who ruled over the city. Along these palaces, the square surrounds quadrangles, revealing courtyards and temples. This kid vendor sells magic bronze ball on weekends speaks English, Chinese and Russian fluently. About a century old, this stands as a historical symbol for Nepal. It plays an important role in nationwide archaeological works and development of museums. This is the main place for all the souvenir sellers. Early in the morning they are coming to install their little stalls and to deploy their marvles. Mountain flight is suitable for all categories of traveler. For those who are restricted by time going trekking can get panoramic view of the Himalayas in just an hour. 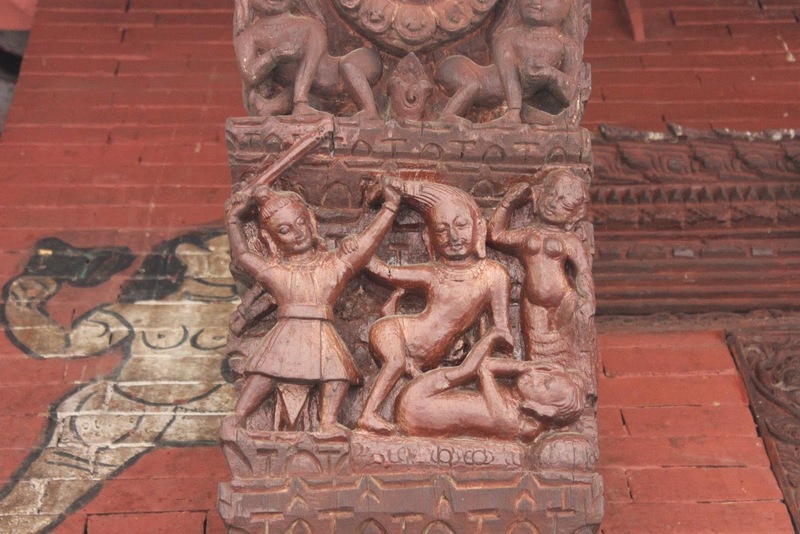 (NSFW) My tour guide brought me to this temple and showed me how ancient people make love in kamasutra positions. Don't know what to believe, books and facts differ big time. 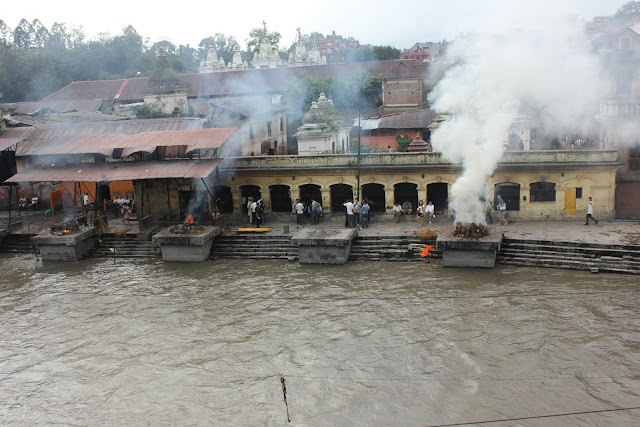 I witnessed the cremation in Pashupatinath up close and by the bridge. 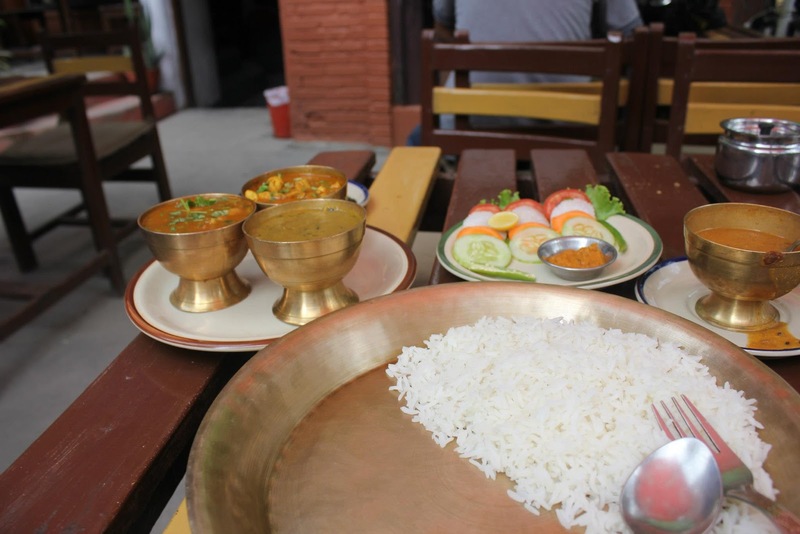 Typical Nepali meal served in Bhaktapur Durbar Square. 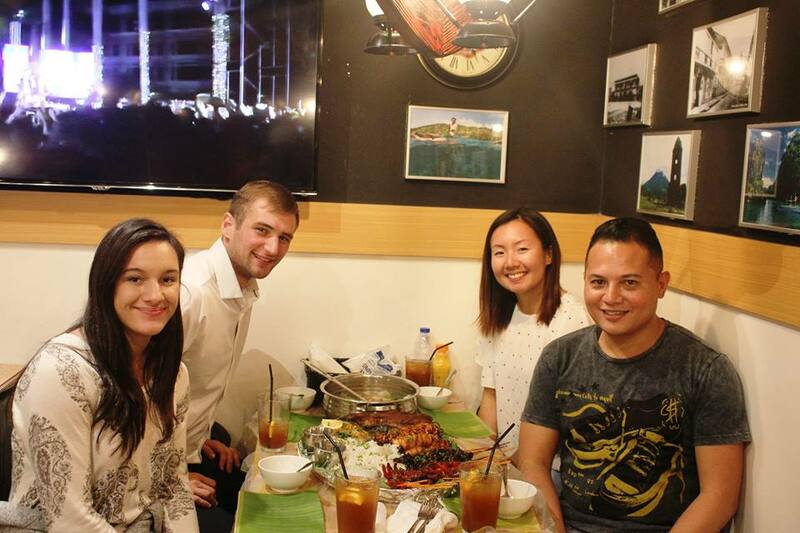 Much of the cuisine is variation on Asian themes, other foods have hybrid Tibetan, Indian and Thai origins. Nevetheless dal-bhat-tarkari is eaten throughout the country. There's a night life in Thamel! Live bands are playing western and Hindi modern music. Although, unlike say in Dubai or Abu Dhabi, the timings is quite premature in Nepal, all pubs, bars and restaurants starts at 7pm and closes at exactly 12 midnight, it's a government thing, it might change but not anytime soon. If you like to ram and hang out with friends after trekking or full day tour, you better turn up early. Here are my recommendations, Yes I went to all of 'em in one night! Fluid Café – playing all sort of pop and rock songs, young and cool crowd too! WHAT ELSE YOU COULD DO? Overall, my little but remarkable trip to Nepal was surprisingly good but what really made it more special is it's friendly and welcoming people, their uniquely preserved culture and tradition is incredibly captivating that made me want to explore Nepal more.